Philadelphia : The American College of Physicians (ACP) recommends in an evidence-based clinical practice guideline published in Annals of Internal Medicine that physicians treat women with osteoporosis with bisphosphonates (alendronate, risedronate, or zoledronic acid) or denosumab, a biologic agent. “Physicians should prescribe generic drugs to treat patients with osteoporosis whenever possible and they should discuss the importance of medication adherence, especially for bisphosphonates,” said Jack Ende, MD, MACP, president, ACP. The American Academy of Family Physicians has endorsed ACP’s guideline. ACP’s guideline focuses on the comparative benefits and risks of short- and long-term drug treatments for low bone density or osteoporosis, including prescriptions, calcium, vitamin D, and estrogen. 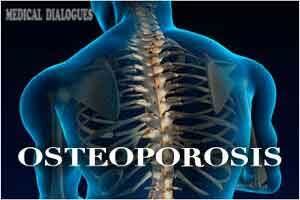 The evidence suggests that physicians should treat women with osteoporosis with drug therapy for five years. Continuing treatment after the initial five years may be beneficial for some patients and may be appropriate after reassessing the risks and benefits of continuing therapy. Physicians should make the decision whether to treat osteopenic women 65 years of age or older who are at a high risk for fracture based on a discussion of patient preferences; fracture risk profile; and the benefits, harms, and costs of medications. “Treatment of Low Bone Density or Osteoporosis to Prevent Fractures in Men and Women” is based on a systematic review of randomized, controlled trials; systematic reviews; large observational studies (for adverse events); and case reports (for rare events). Clinical outcomes evaluated were fractures and adverse events. ACP’s previous recommendations for treating low bone density and osteoporosis to prevent fractures were published in “Pharmacologic Treatment of Low Bone Density or Osteoporosis to Prevent Fractures” in 2008. ACP’s 2017 guideline presents additional available evidence on treatments, including new medications and biologic agents, to prevent fractures in men and women with low bone density or osteoporosis since publication of the 2008 guideline. Should moderate osteopenia should take bisphosphonate / reloxiphane report of DEXA ?